We invite you to read about the EMS initiative "Mathematics in the streets of Kraków": http://www.6ecm.pl/en/satellites-exhibitions/math-busking-in-krakow. We invite you to read the detailed information about panel discussions during the 6ECM: http://www.6ecm.pl/en/programme/panel-discussions. This event is organised jointly by the European Mathematical Society Women in Mathematics Committee and European Women in Mathematics. It will be held on Tuesday July 3rd, 2012, afternoon at the 6ECM venue. 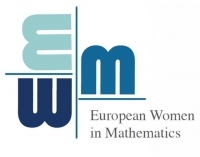 We are pleased to announce that the European Women in Mathematics decided to support young women mathematicians from less developed countries in Europe to attend 6ECM as well as the Joint EMS/EWM Survey Lectures. We invite you to visit the Accomodation tab. We have put there the information about the rooms that we prebooked for 6ECM participants. These rooms are in hotels and dormitories situated in a convenient distance from the Congress venue. We attached a map showing their location.